Welcome Windows Server 2016 to Automata4 Automata4 Group had finished its update to all of our network servers to be Windows Servers 2016. Keep going forward....we make dreams become realities. ِAutomata4 Group is the primary sponsor of SHIFT II, the Syrian Freelancers Forum. Welcome PHP Version 7.2.3 to our family. Automata4 Group had finished implementing our new version 3.0 of EduTech at the Syrian Private University (SPU). This implementation had asserted EduTech as the Leader Education software for universities in Syria. We thank SPU for their trust in our software and promise them the best in education tools all the times. 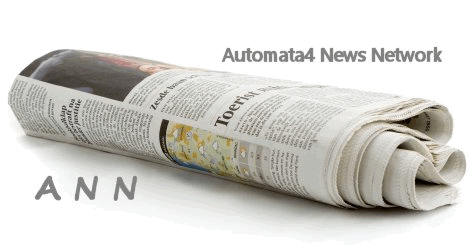 Automata4 Group is sponsoring the Syrian Freelancing Forum. Automata4 Group is sponsoring the Syrian Freelancing Forum (the first forum in its kind in Syria) which will take place in December 13-15, 2016 in Damascus – Syria. Mr. Ammar Fallaha – Automata4’s CEO – will lead up the open ceremony and present the first lecture titled: Intro to Freelancing.